Dr. Jon Pritchett joined the Accreditation Commission for Healthcare (ACHC) in December 2014 as Associate Director of Pharmacy and oversees the organization’s pharmacy programs. He regularly presents to US boards of pharmacy, federal and state legislators and agencies, and pharmacy personnel about USP standards and their implementation. Prior to joining ACHC he was Pharmacy Manager of a PCAB-accredited pharmacy where he specialized in sterile and non-sterile compounding as well as specialty and clinical services. Jon maintains a strong passion for elevating the pharmacy profession and strengthening its position in the medical field. 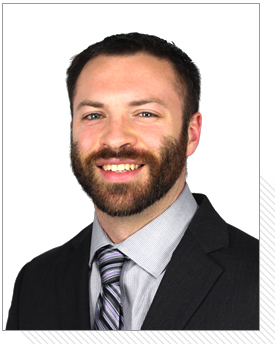 Dr. Jon earned his Doctor of Pharmacy (PharmD) from Campbell University College of Pharmacy & Health Sciences, and is a Registered Pharmacist in the state of North Carolina. He is also a member of the International Academy of Compounding Pharmacists (IACP), National Community Pharmacists Association (NCPA), American Pharmacists Association (APhA), International Pharmaceutical Federation (IFP), American Society for Pharmacy Law (ASPL), North Carolina Association of Pharmacists (NCAP), and Campbell University Alumni Association. Hazardous Drug Handling: What does USP<800> Mean to your Pharmacy?